Over the past few weeks I have done my best to provide positive and alternative perspectives in contrast the media's negativistic rhetoric surrounding President Donald Trump. This is not a particular subject I enjoy covering. However, since the presidency has been the source of such strong emotions of worry and fear, I have found it necessary to counteract these emotions with alternative perspectives. It is not that these perspectives are “pro-Trump.” We have recently been so thoroughly manipulated by the normalized American propaganda that we have forgotten that the world is not black and white, and that life exists outside the polar opposites of political extremism. The position I aim to maintain is that of pro-positivity and pro-responsibility, yet it seems that so many people have become so emotionally chaotic and negative that even these goals of relative neutrality are seen as hazardous. Let me point out one fact. It is okay for us to be angry. That's right. Our emotion of anger, when presented with the situations our world faces, anger seems to be a healthy emotional response, but there is a catch. This is only a healthy response as long as our anger is a result of our being informed, attentive and responsible. This becomes especially important in a country whose establishment (as well as various online disinformation) religiously promotes propaganda to confuse the situation. It is understandable that many people oppose some of the policies which Donald Trump is attempting to enforce. However, much of the supposed resistance does not seem to come from a place of full attention and understanding. Due to wide-spread media distortion, many people have very strong feelings, but only have partial knowledge of the truth of the situation. Let's look at some specifics. 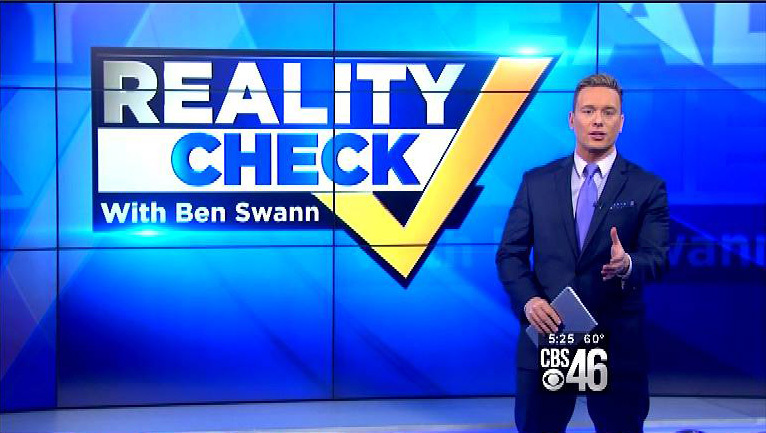 In this segment of Reality Check, Ben Swann takes an honest look at the truth behind the hypocrisy of many American protests. Reality Check - President Obama has Actually Done It. Let that Sink In. There are those of us who were privy to these issues and knew of the dire need for change that existed many years in the past. Yet many people remained completely apathetic toward this need for change. If we are so outrage at one person for potentially doing massive amounts of harm to the country, why did we not care at that time when this harm was actually being committed on a massive scale? If it is not okay to incarcerate people en mass without trial, impose hazardous and inhumane pipeline projects, and dance around maintaining domestic torture programs, why did past regimes get a free pass from so many people? This is not at all to say that such policies are okay for Trump to implement, and if he does plan to implement these policies, I will gladly oppose them. However, this still does not answer the question of why so many protesters waited such a long time to speak up when the need to protest existed decades ago. In my perspective, it does not matter what television or the internet says about an individual or how the corporate media attempts to whitewash (or exaggerate) their wrongdoing. If a political figure commits unethical acts, there is no reason why I should not speak out against those acts in the moment. Nor is there any reason to wait until it becomes popular to resist unethical policies. If we are our own person, and we have the ability to think independently, there is no reason for us to wait for the TV or a crowd of people to speak up for what is right. That task belongs to us, but if we need a television to tell us when, where, and why we should do it, chances are its insincere. Overall, I see a positive outcome to our current situation, but that outcome will not come from our apathy. It will not come from our ignorance, our suggestibility, or our selective rage. Our positive future can only manifest when we choose to stop depending upon someone else to dictate reality to us and choose instead to open our own eyes and create a positive outcome ourselves. When we choose to become our own journalist and actually learn to scrutinize information to get to the accurate truth, we will be able to act responsibly. It's time for all to cut the strings.